Whether you own a small business or manage several fast-paced office locations, it’s no surprise that you’ll benefit greatly from the managed print services available from Laser Line in Jessup, MD. For years they’ve been providing clients of every type with services designed to be efficient and affordable. However, with today’s printing industry constantly changing, they want to talk to you a bit about what the future holds for managed print services. 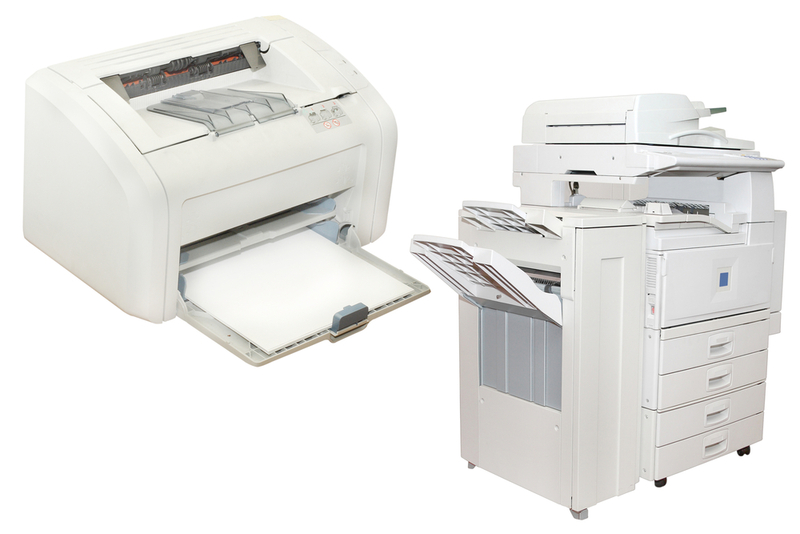 How Have Managed Print Services Changed Over the Years? Early on, when managed print services were first introduced in the office place, they were used as a means to cut back on printing costs and increase efficiencies. These services were provided either in-house or outsourced to the company and were designed to get the highest volume of printing for the lowest possible cost; this, of course, was when printing technology was still developing to meet the demands of today’s modern business. Since most companies now view printing as a necessary and integral business service, the focus has shifted from simply offering high-quality printing services at low prices to include other office solutions. This includes customized business plans, cloud and digitization services, and personalized expertise to help your business integrate new technology into the workplace. What Are Some of the New Managed Print Services Being Offered Today? Businesses are no longer satisfied with simply affordable print-on-demand services, which is why many managed printing companies have shifted focus to offer more value-added services. This can range from helping clients develop a successful long-term plan to increase in-house printing efficiencies to replacing or repairing outdated machinery. Additionally, many managed print services companies have also added digitization to their list of solutions as well, specializing in cloud applications and other forms of online data storage designed to reduce the need for physical documents. If you want to increase the efficiency of your business, the managed print services from Laser Line are a great way to start. Contact them today at (410) 636-1700 or visit them online for a closer look at what they have to offer.